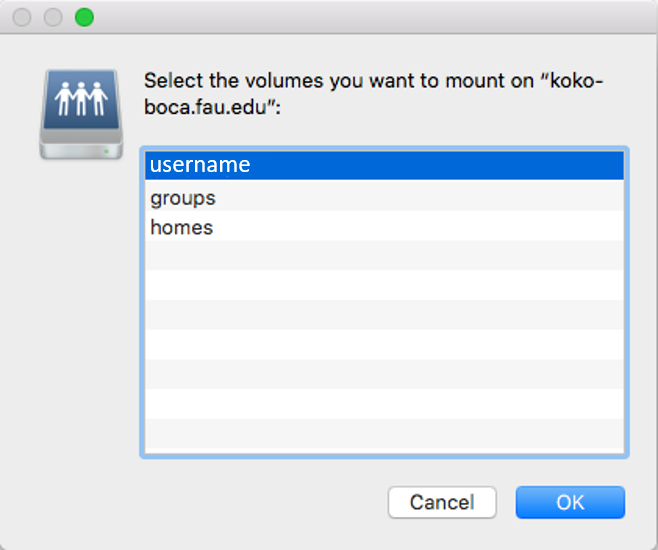 Warning: Boca campus WiFi users should use koko-boca.fau.edu rather than koko-dtn.hpc.fau.edu. This is due to an network issue that is being investigated. Type in ‘smb://koko-dtn.hpc.fau.edu’ in the Server Address field. If you are on the Boca Campus’ WiFi network, please use smb://koko-boca.fau.edu instead. 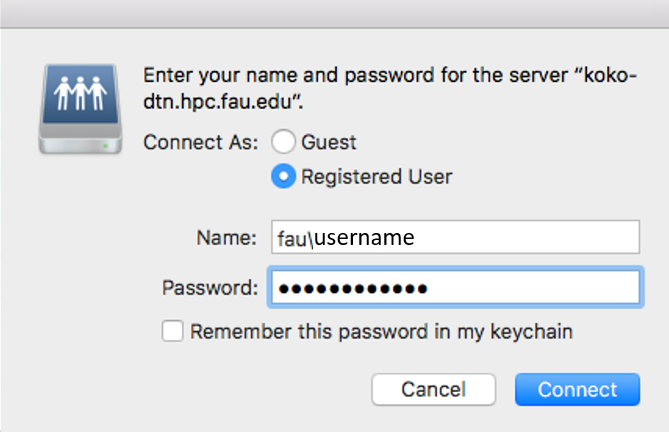 Enter your FAU credentials with fau\<username> as the format for the Name field and click Connect to continue. FAU indicates the domain where your username resides. Checking the “Remember this password in my keychain” box will save the username and password but you may have issues when you are required to change your password again. 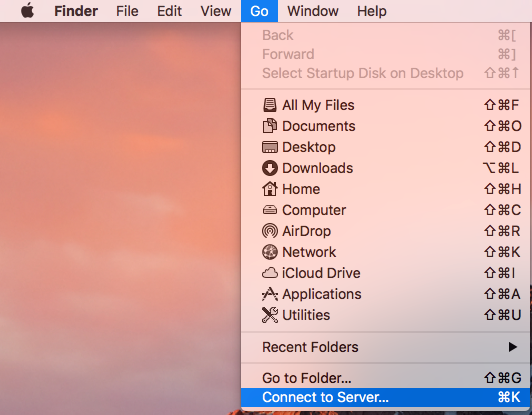 Select the folder you wish to connect to and select OK. The folder with your username is your home directory. The folder labeled ‘groups’ is for users that have a group share on Koko. Globus Online enables you to move, sync, and share your data using just a web browser. We take care of time consuming, error prone IT tasks so you can focus on your research. FAU’s HPC home directories are accessible using the fauhpc:cloud endpoint. More information. 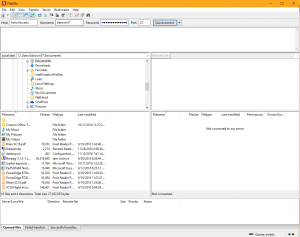 Start FileZilla, can be downloaded here. Enter your password and click Quickconnect. Once connected drag and drop the files between the two panes.